Appellation or Vine Vino Nobile di Montepulciano D.O.C.G. As early as in XVII century an Italian poet Francesco Redi called the Vino Nobile di Montepulciano “the king of wines”. 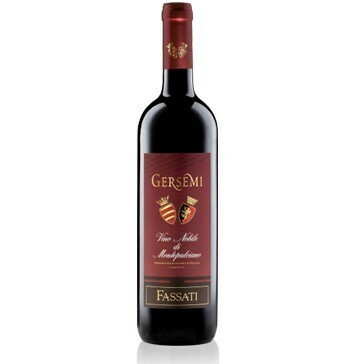 Gersemi comes from a perfect match of Sangiovese, Merlot and Cabernet Savignon grapes grown at about 300 e 450 meters above sea level in the best Fassati vineyards of different age, selected for their particularly favourable microclimate. The aging lasts minimum two years in oak barrels of 20-26 hectoliters each and a small part in barrique. The wine is then refined in bottle for a minimum period of six months. It has intense ruby-red colour, a rich and clean fragrance, outstanding persistence and depth. 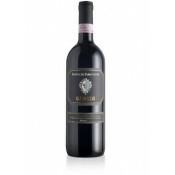 It shows hints of mature fruits, spicies, chocolate and clear traces of licorice, vanilla and viola. 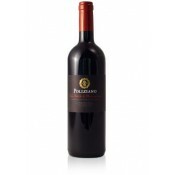 At palate it is full, round and generous, with excellent tannins. Fassati is an antique Tuscan winery located in the Chianti area. It was founded in 1913 by Marquis Fassati and named in honour of its founder. From 1925 Fassati winery is a proud holder of the title of “Pope Supplier” given by Prefect of Saint Apostolic Palace. In 1969 the winery, managed by new owners, purchased various vineyards in the best production areas and started to produce Vino Nobile di Montepulciano. The wineyards are all numbered and classified, which allows to track and to better understand the vine and its potential. This philosophy is practiced until now in respect of the antique traditions which have marked the territory and Fassati name. The actual ownership counts about 100 hectares of vineyards with a potential that places Fassati among the first five wineries of Montepulciano. 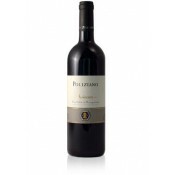 Excellent with roasted meat, noble poultry, wild-game meat and aged cheeses. The wine should be served at 18-20°C in clear, transparent crystal goblets. The bottles should be laid horizontally in a cool, dark, humid wine-cellar. This wine improves in quality and elegance for minimum 10 years.